I don’t often collaborate with other artists but in the past two years I have been involved in two significant collaborative art projects. See below. The Trans Empire Canal Corporation is a collective comprised of artists, architects and curators; Erika Abbondanzieri, Scott Bye, Brian Larson Clark, Olivier Delrieu-Schulze, A.J. Fries, Katherine Gaudy, Julian Montague, and Scott Propeack. 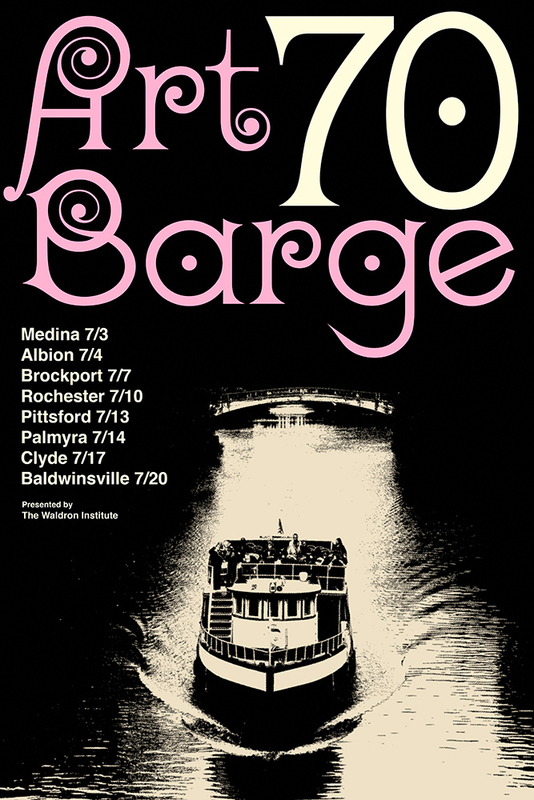 Our main goal is to acquire a barge, convert it to an art space and sail it down the Erie Canal to Brooklyn, engaging the artists and people of New York State along the way. The project is broken into four phases under the name Cultural Commodities. Phase I took place in August-October 2014 at the Burchfield Penney Art Center in Buffalo, NY. Displacement: Barge Prototype, Phase I of the project Cultural Commodities Involved the building of a huge sculpture that served as conceptual prototype of the barge we hope to eventually take down the canal. The barge structure had two main galleries and six “bunk rooms” in which the TECCorp team made individual installations. 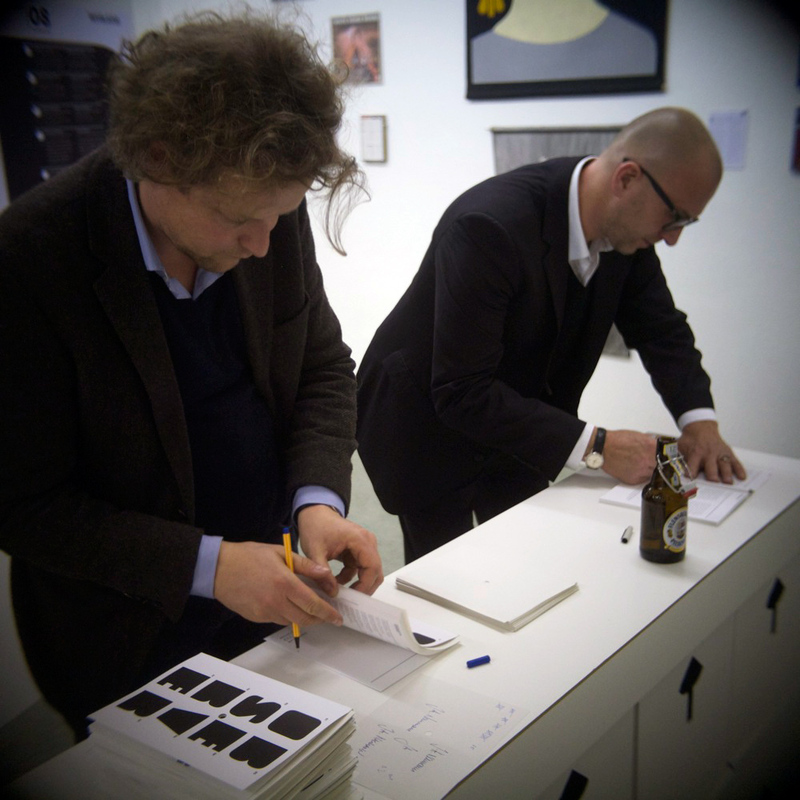 The team also served as curators of the main galleries. 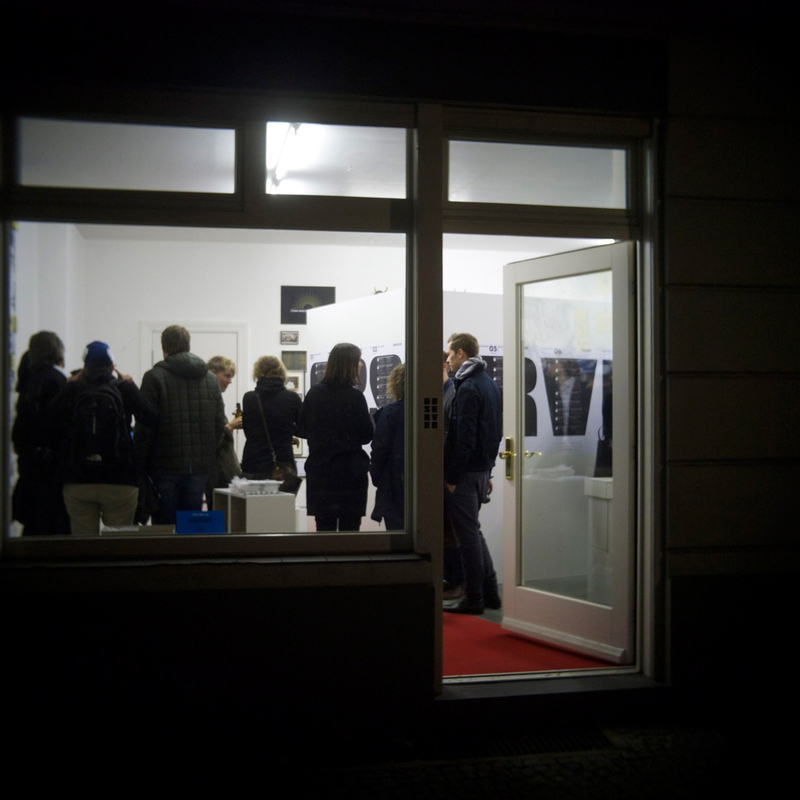 the first gallery held work that had been curated before the opening of the exhibition, the second was filled gradually as members of the public brought in work to be considered and critiqued in an open curatorial process. TECCORP seeks to purpose art as a tool to create community and cultural connections across the empire state. TECCORP is focused on the geographic, economic, environmental, historical, and cultural resources the erie canal corridor provides new york: from Buffalo in Western New York to Brooklyn downstate. TECCORP will connect New York’s institutions, artists and audiences in a deliberate re-examination of the complex infrastructural role the erie canal offers our great state. TECCORP will realize this mission through a series of exhibitions, performances, and dialogue concluding in a mobile gallery that will travel from buffalo to brooklyn with multiple moorings in between. While being part of the team from the beginning, my most concrete contribution to the project has been the design of the logo, graphics and color scheme of the barge. I also provided the initial design concept of the barge prototype, which was later improved upon by the team as a whole. My installation on the barge was meant to be the ship’s library. It held several hundred stacked books and the work of a number of artists both living and dead and a number of other canal related odds and ends. I also included a couple of faux posters (below). There were also a number of oblique references to the Waldron Institute (see the next collaboration). Observer is the most complicated and esoteric project that I have been involved with to date. 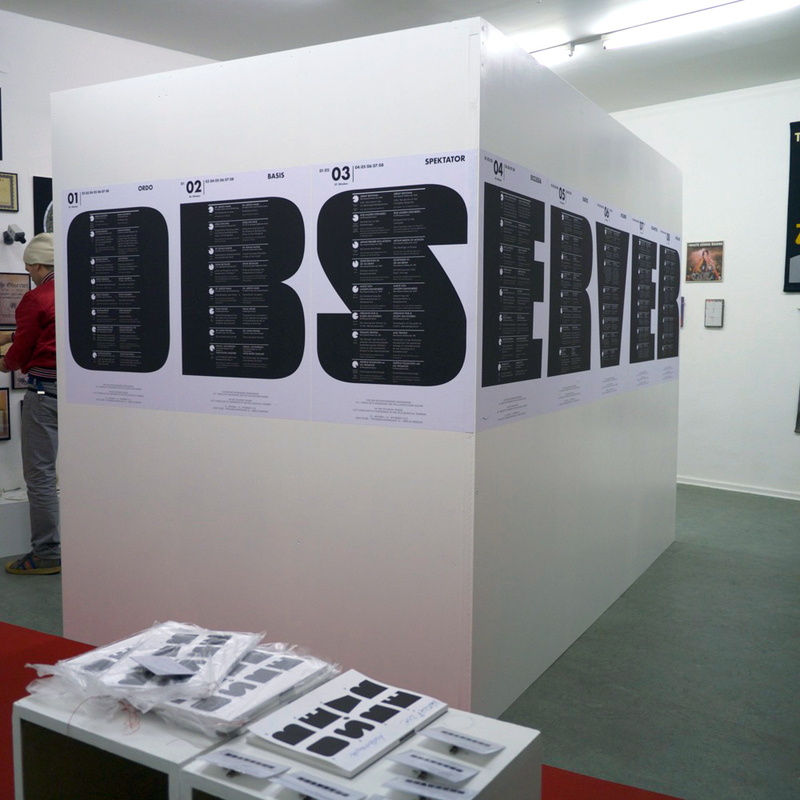 The collective Die Philosophischen Bauern (Ursula Achternkamp, Holger Heubner, Helmut Kraus, Jürgen Willinghöfer) have a number of fictional organizations in their art practice. Many of them dealing with the coming end of the world. I too have a number of fictional organizations that I created as part of the Secondary Occupants project. In our discussions of how to collaborate we came up with the idea that we would have a conference about the coming change between our organizations. 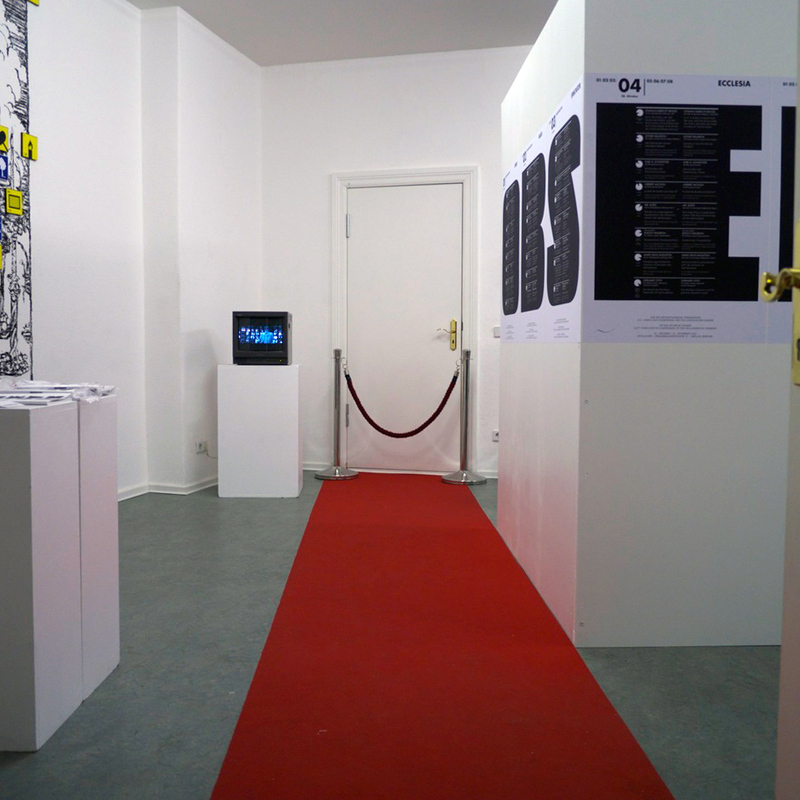 The project space in which we were to have our exhibit was quite small so we decided that the project space would be area that our organizations had their displays and that the “conference” would take place behind a closed door (actually a closet door). 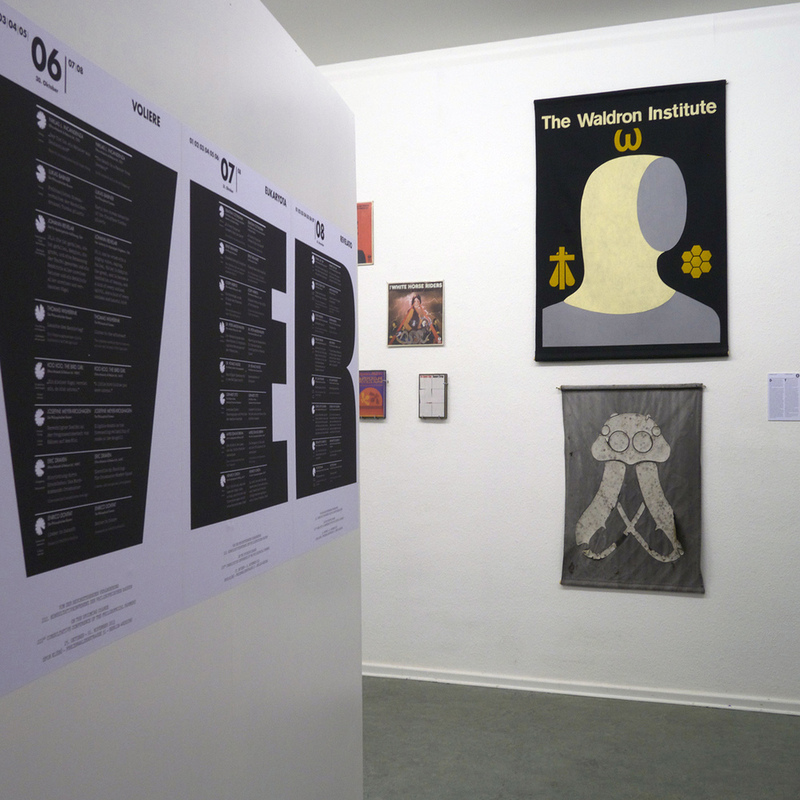 For the eight day conference each of the participating artists wrote abstracts for the various talks and workshops their fictional participants presented. We also wrote bios for all of our characters. Details can be found here. 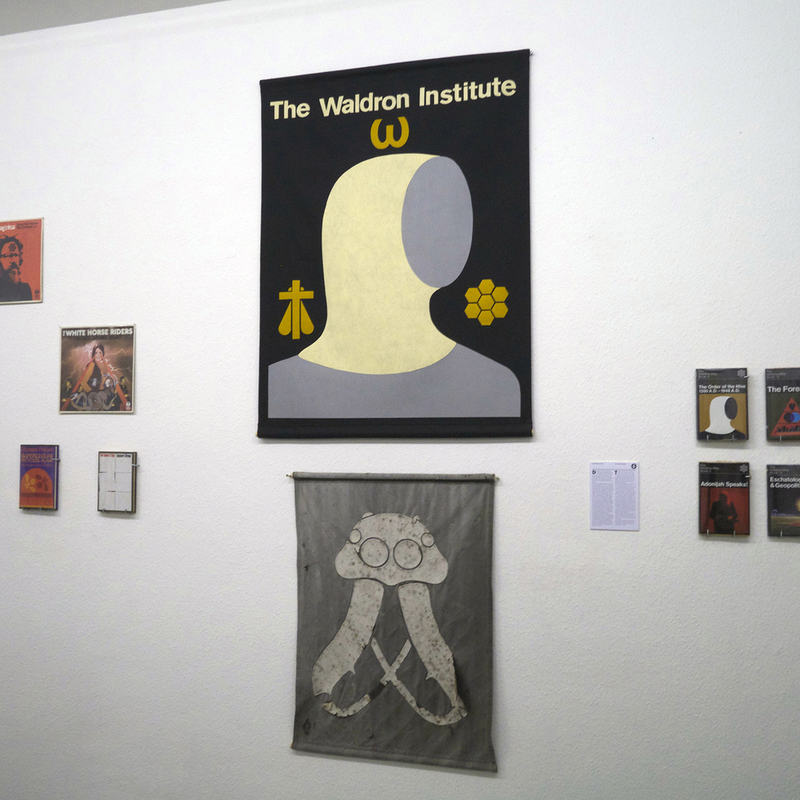 The Waldron Institute is a modern continuation of a medieval secret society known as The Order of the Hive. With its origins in a beekeeper’s guild, the Order was dedicated to the idea that the date and details of the end of days (and other forms of prophet­ic knowledge) could be discovered through the observation of the habits and behavior of Honey Bees. During the enlightenment the Order adopted the new scientific ideas of the era. Their research transitioned from a form of mysticism to using the scientific method. By the late 19th century the Order had largely lost it’s way and membership was comprised of only a small group spread out across North America and Europe. In the late 1940’s Adonijah Waldron, a hereditary member of the order took control of the North American chapter and introduced a radical plan to modernize the organization and to bring it into the public eye. The charismatic Waldron saw the immediate goals of the organization as two-fold. 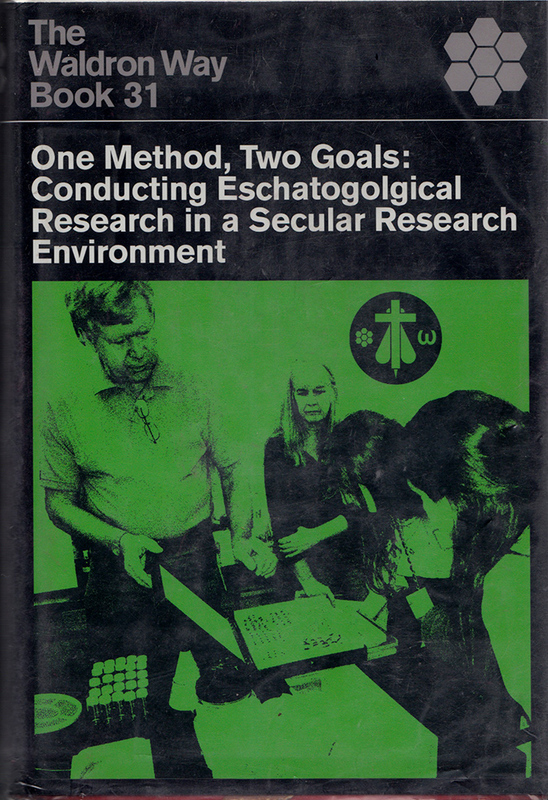 The first goal was to continue the Order’s quest for eschatological knowledge using the most up to date methods and technology. The second was to recruit new members, both men and women to the Order with the hopes of starting a tight knit community that could survive the (possibly) eminent tribulations. 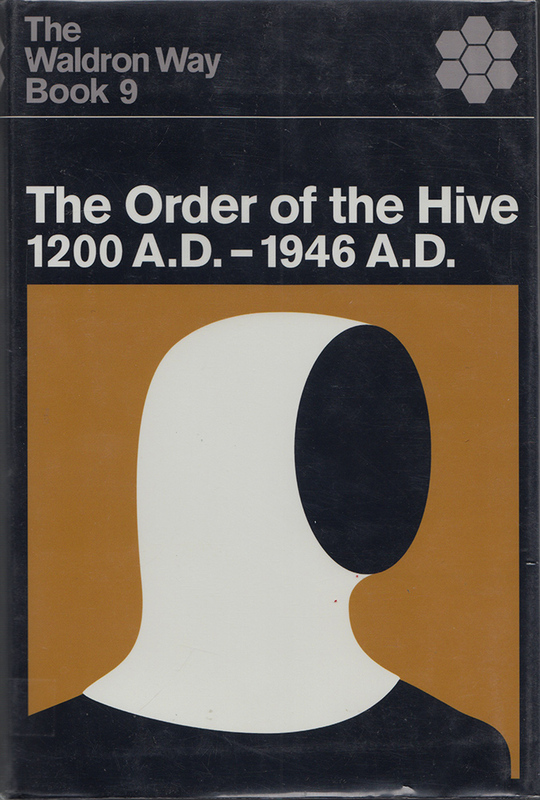 Waldron developed a series of codes, rituals and psychological practices based on the behaviors of honey bees. He believed his system would ensure the social and spiritual cohesion of the group. 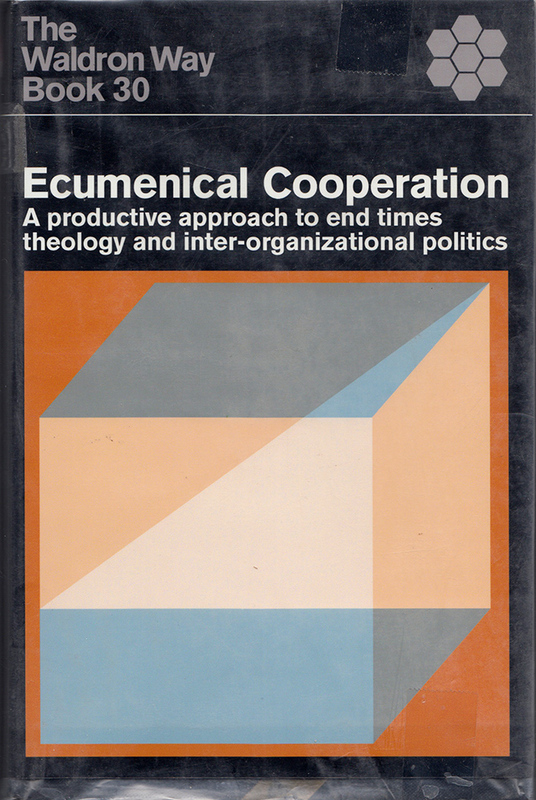 Since Waldron’s death in 1976, the institute that bears his name has continued with it’s research and is at the forefront of scientific eschatological research. The full scope of the project is difficult to depict here, at some point I should probably make a page for the Waldron Institute. 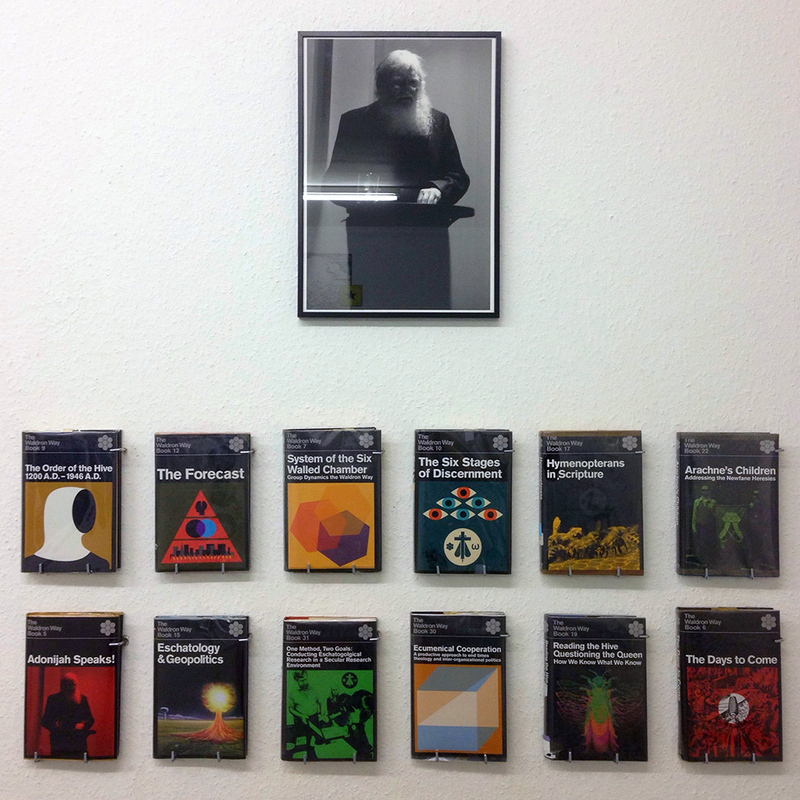 The ideas and history of the Waldron Institute were hinted at through this series of book covers I created. Many of the faux books from the Secondary Occupants project were revealed to be connected to the institute. The world of the character at the center of that project was broadened and complicated by the creation of the Waldron back story.